"Nowhere is the dogma of the worth of a man better preserved and practiced than in the family. Everywhere else man may be reverenced and respected for what he can do, for his wealth, his power, his influence, or his charm; but in the family a person is valued because he is. Existence is worth in the home." 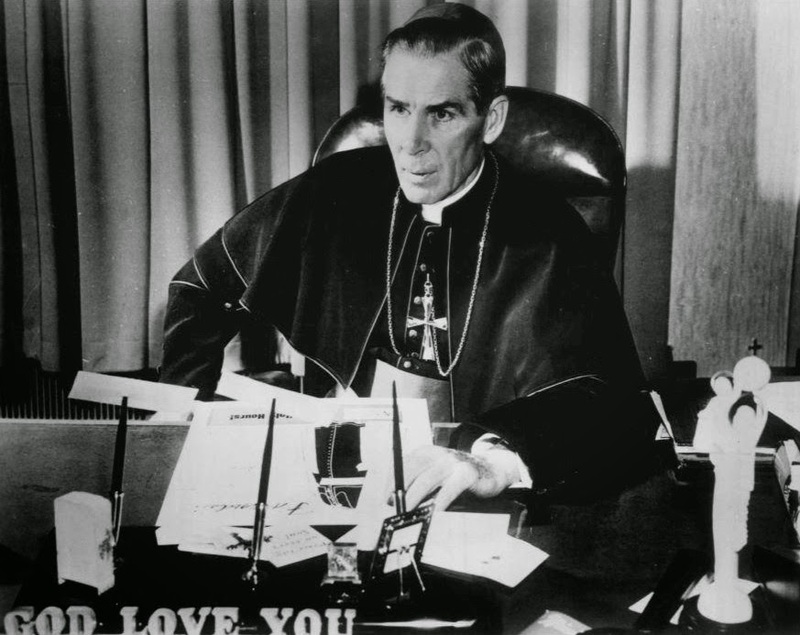 "Bishop Fulton J. Sheen 1956" by ABC Radio - eBay itemphoto frontphoto back. Licensed under Public Domain via Wikimedia Commons.